It’s unclear what St. Marguerite Bourgeoys was discerning about her future in October 1640. But something happened that changed the course of her life and the history of the blossoming North American continent to which she would go as a missionary. No indications are given that she was inclined to religious life, although she would go on to establish a new women’s religious congregation of apostolic life. A spiritual director guided St. Marguerite toward religious life. First she pursued the cloister, desiring to devote her life to contemplation, prayer and penance. She did not give into sadness, though, when she was rejected by the Carmelites and other communities. Instead it became clearer that God had other plans in store for her. The Congregation de Notre Dame in Troyes had been established as a teaching community. Although obliged to accept the cloister to obtain ecclesiastical approval, they also established an extern congregation. The members would live a modest, simple life in their own homes dedicated to prayer and education. St. Marguerite took religious vows as an extern with this community. The following 13 years formed St. Marguerite for mission in North America. She received educational training and developed an educational philosophy geared toward the poor and underprivileged, focusing on skills the poor needed more than reading and writing. 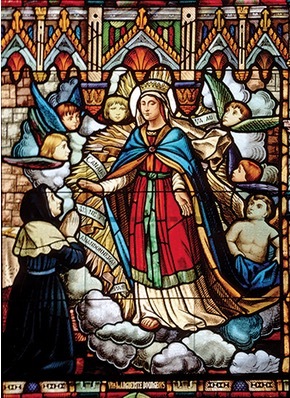 Although her attempt to establish an apostolic community in Troyes did not succeed, St. Marguerite did not give up hope. Her dream was realized, however, alongside the dreams of many other French laity who desired a missionary and apostolic life and had established the Ville Marie colony in modern-day Montreal, Canada. She joined the mission, founded to bring the Gospel to the native peoples of North America, in 1553. Bravely embracing the missionary’s adventurous life in the New World, St. Marguerite arrived in New France filled with the hopes and aspirations that came from the knowledge that she was doing God’s will. Her desires to provide education were stalled at first because of high infant mortality rates, but she built the first public school in an old stone barn. 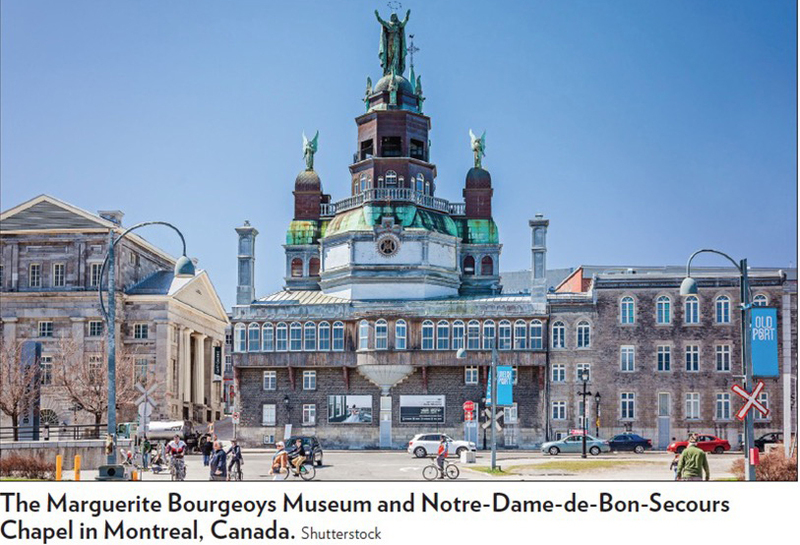 She also built the first permanent church in Montreal, dedicated to Our Lady of Good Counsel. In the New World, St. Marguerite established the new apostolic community for women, dedicated to following “the state of life of the journeying Virgin Mary,” a life which followed Mary as her Son’s first disciple. “Even without veil or wimple, one could be a true religious,” she wrote. The Congregation of Notre Dame was organized by St. Marguerite as an uncloistered women’s religious community of apostolic life, dedicated to education and service to the poor. On trips back to France, she recruited members and obtained the protection from the king so the local bishop could not enforce cloistered life upon her new community. St. Marguerite led the congregation she founded until 1693, and she spent her last years in prayer and composition of her autobiography, some of which still exists. She died Jan. 12, 1700, at the age of 79. Her feast day is Jan. 12.